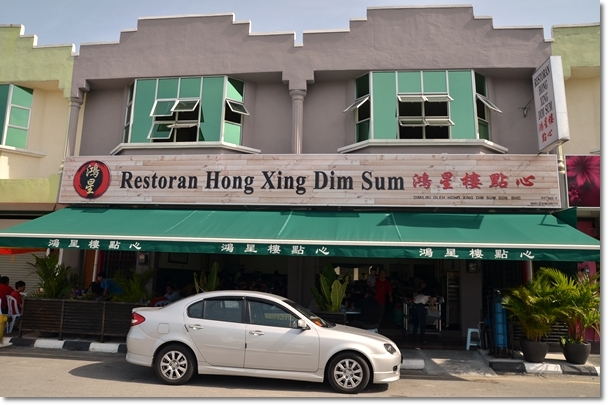 This dim sum restaurant in Bercham of Ipoh, located directly in front of the new Giant hypermarket is new. Well, relatively, since this has been operating for at least 3 months … yet this was the first time we managed to hop over for a taste of their supposedly superior dim sum. More details …. after the jump. 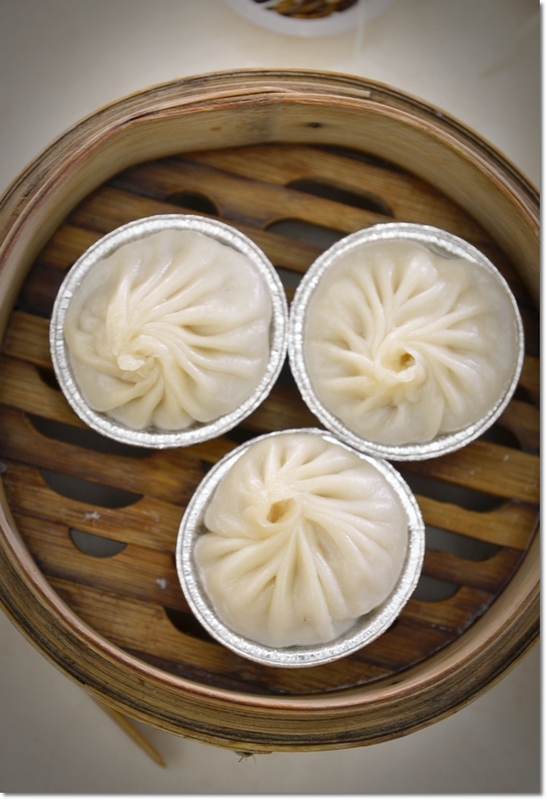 Xiao Long Bao; Little Dragon Buns. A savoury creation of minced pork patty encased within a layer of dumpling skin (made of flour) and swimming within a broth that some say …. may make or break this essentially Shanghainese signature. If you know where the NEW Giant Hypermarket in Bercham is, then you’re good to go. Even if you don’t, then this is still a very easy find. Coming off the highway (Ipoh Selatan; the second Ipoh exit after Tambun/Sunway City if you’re coming from the south), go towards Bercham/Tasek direction. Turn right at the first traffic lights after exiting the expressway. Then you will reach another set traffic lights where you can see Tesco Extra diagonally opposite of you, and Giant will be to your right, behind a row of shops. Turn into the row of shops and you will find Hong Xing facing Giant. Clockwise from top left : Stuffed brinjal, red chillies and beancurd (Yong Tau Foo) gloriously doused in a black bean sauce laced with chillies, the perennial favourite of ours; Woo Kok (deep fried yam puff stuffed with sweetened, caramelized BBQ pork and a myriad of savoury ingredients, the Wor Tip (pan fried dumplings filled with immense stuffing of pork and greens, and the fish paste coated with almond flakes and sunflower seeds. The two shoplots appeared to be spanking new, understandably since this area is a very new area in Bercham. The most significant landmark aside from Giant would be the corner steamboat + BBQ restaurant named Two Plus One (that was and still is a HUGE hit since way back in our secondary school days …..). Ordering is simple. Seated and someone will come and take your orders for your beverage of choice; usually brewing a pot of Chinese tea depending on your preferred tea leaves. If you’re unsure, just say whatever they recommend. 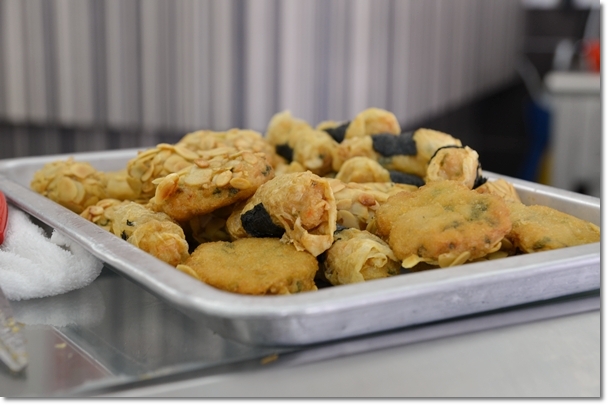 We always choose “Kuk Pou” (chrysanthemum and “Luk Pou”), or sometimes I would settle for “Heong Pin” (jasmine), or “Pu Er”. Seafood Dumplings (Hoi Seen Mai) with bits of crab, prawns and chopped mushrooms. The chef here hails from Shanxi, China. 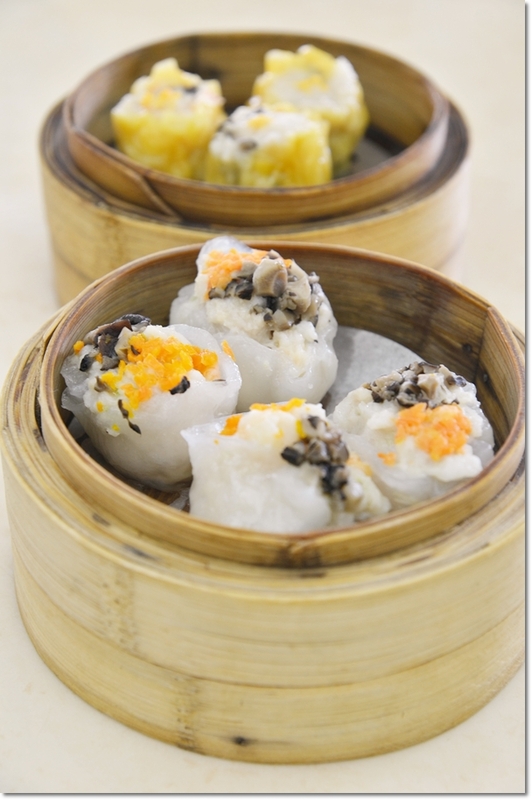 Hence, there will be a few varieties of dim sum that you might not have seen or heard of. Mostly the steamed items that arrived in a burst of interesting colours. We played safe and ordered mostly the routine options like “Siew Mai” (pork and prawn dumplings in a yellow-hued dumpling skin), Char Siew Bao (steamed BBQ pork bun) and a few others in the shots above. Even their deep fried items consisted of a few extraordinary choices like the deep fried fish paste laced with crunchy bits of almond flakes and sunflower seeds, served with a dollop of mayo. The Xiao Long Bao could be one of the better ones in Ipoh. Seriously. The skin may appear to be a little bit thick, yet not tasteless and redundant with an icky, flour-y finish. The soup within was piping hot though, so you’d better not dump the whole morsel into your mouth. As usual, I bit the top part off and slurp in a bit of the soup which was a balanced taste of savoury and sweet. Naturally, these were served with vinegar and julienned ginger. The other exemplary item was the Wor Tip or pan fried dumplings. Arriving in an enormous portion (more than three mouthfuls each! ), the fillings came with a very fresh combination of pork, shredded cabbage and some other ingredients). The yam puff (Woo Kok) faltered though, disappointingly. Being a tad too greasy and soaking in the oil from the deep frying process, with a lacklustre fillings of juicy char siew. The desserts here are no mere pushovers too. A chilled jelly made of dragonfruit juice and filled with fruit cocktail and the refreshing honeydew sago in milk desserts capped the breakfast experience with a bang. Rarely did we settle for desserts, aside from Ming Court with their exceptional black sesame soup. Routinely, most dim sum restaurants serve chilled soya pudding with longan and the likes. Hong Xing‘s version of dragonfruit jelly and honeydew sago were more than enough to lure us into submission. Can’t really heap praises or criticizing the service here, for although almost all the staff here were approachable and friendly, they did take their sweet time to clear tables, take orders and follow up on pending items. Imagine we had to waive and reminded endlessly on our desserts while there were already patrons standing around hovering for our seats. Give them time … for given the immense support they are garnering from the crowd this morning, I believe they CAN go far. New, clean, spacious and cooling. Minus the attitude. 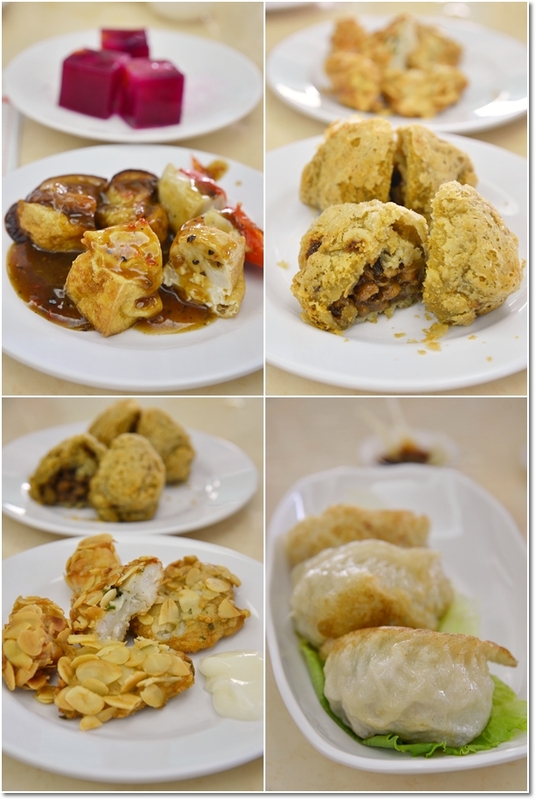 If you think that Ipoh’s dim sum revolves around Foh San and Ming Court only, think again. Try browsing through this list – All About Ipoh Dim Sum and I bet you’ll find one or two gems in there that will please the most discerning dim sum lover in you. Business hours : 7am – 2pm daily, Closed on Thursdays. Xiao Long Bao we ordered the instant we sat down. And came at the last of our meal. haha … I guess it takes time for them to prepare that and the Wor Tip. the har gao is good? Har Gao habis lah …. didn’t try. But the rest of the items were good. Hi sEnGz, about RM3-RM4 I believe. All of those items and tea came to RM42 for the 3 of us. Tea was RM2 per head. How would you rate this dim sum restaurant, out of 10? I’d say a solid 7. Based on the 1st experience. Certainly a cut above the ones you can have in KL, or even some smaller ones around Ipoh. If the service is slow and lousy, one may be discouraged to try the dishes even though they are mouth-watering. The management should be told of this weakness in their business. Awesome dim sum.. I had my one just now morning too.. I was here with my mum and brother last week, very nice environment and the foods are delicious! And 3 of us spent RM61 for our breakfast! Wah .. you must have ordered a lot! Haha …. the 3 of us had about RM42 worth of dim sum. And stuffed as well. The guy in charge of the dim sum trolley is a tad too rude for my taste. It was Sunday and it was pretty much crowded. 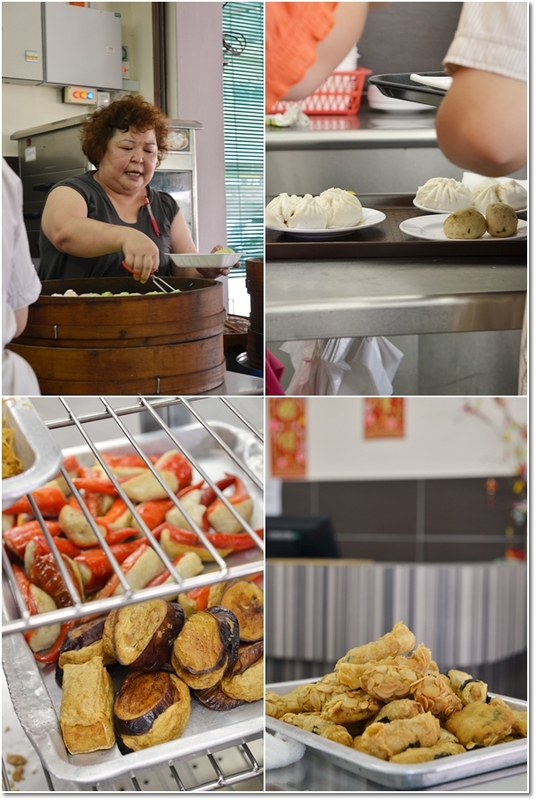 The usual local favorite like Siew Mai and Har Kao were scarce. The guy pushed the trolley to our table and announced, this is what we have now. The others are not ready yet. I replied, why don’t you come when the food is ready? He left without saying a word. 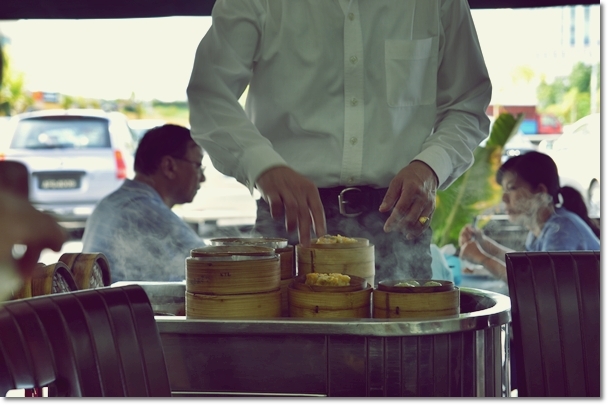 Another incident was when he announced some dim sum freshly prepared from the kitchen. He said lots of people is after this, get yours before it runs out. Come on! This is not how you serve customers. Without considering the guy’s service, the food was decent. Nothing to shout about but having the guy serving us really leave a bad after taste in my mouth. Haha …. actually, yeah. That was the case too. When we asked for Har Gau (prawn dumplings) and they were finished, then he proceeded to place an amazing lot of baskets on the table, unwarranted. Then left in a half-dejected mode when we picked only two. Is this restaurant anywhere new hotel excelsior ? No .. this is near to Ipoh Garden East/Bercham. Where you exit the highway and see Tesco Extra. just went there 2 days back abt lunch time. lousy restaurant and the waiters also very rude. bad image for Perak!